A unique realization of the world map all in wood with the name of the countries in French. A complete pack of pines in the shape of paper plane is available to mark your travels. 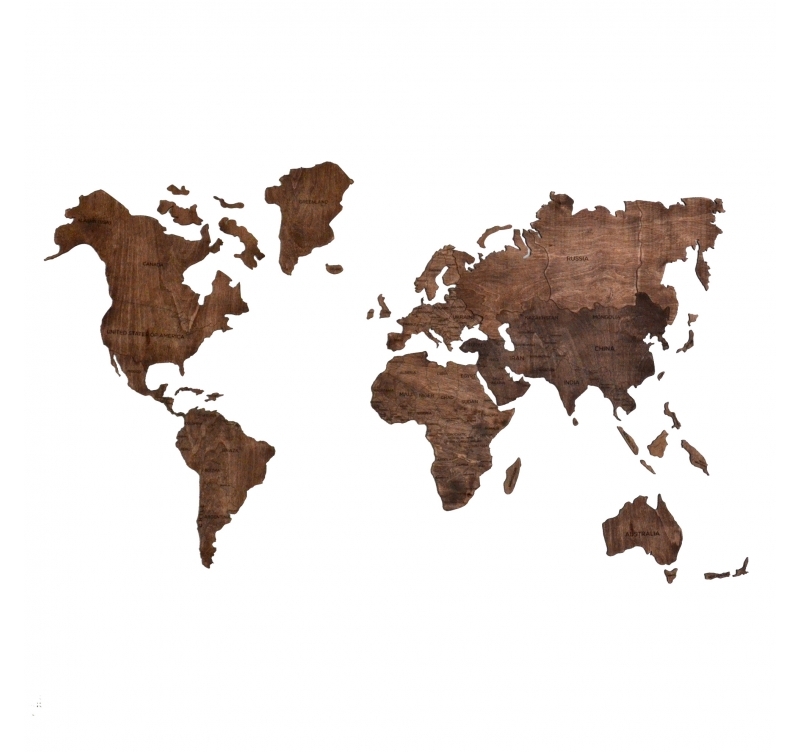 This wooden wall decoration has dimensions of 100 x 60 cm. 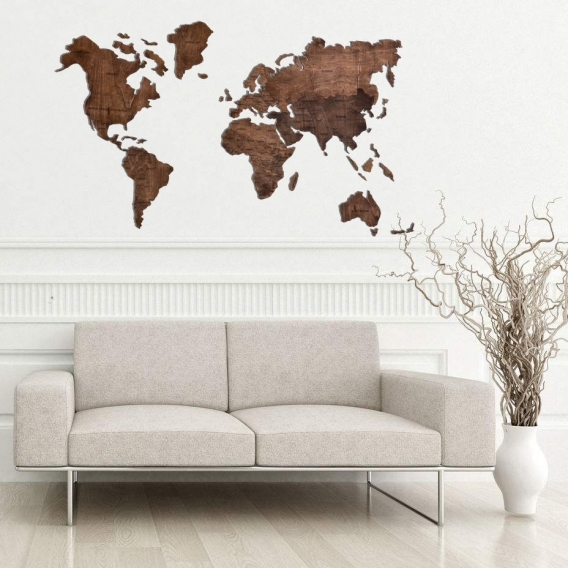 Delivery around the world for this world map wall. This world map contains the borders of each country and their name in French. So you can easily find your way on the map, which is accompanied by the most famous islands in the world. However, for manufacturing reasons, some of these islands may not be present. If you prefer another color, three models are available in our wood wall decoration category. The type of wood used is birch plywood which allows you to have a smooth and ultra-trendy surface for today's interiors. 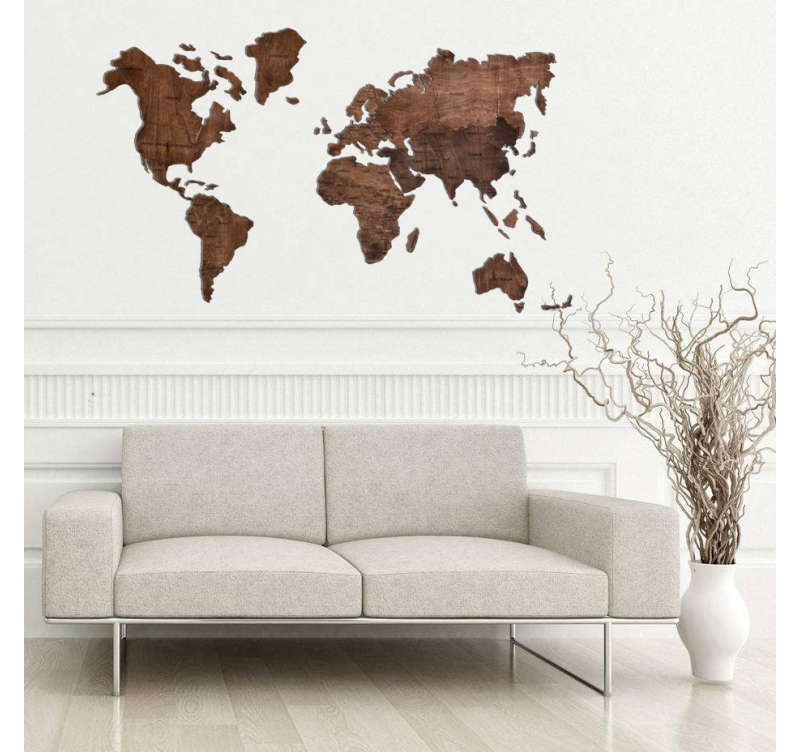 This wall map is delivered with its hooks that allow you to fix each part of the world directly to the wall. These double-sided fasteners are very easy to use and will not damage your walls (see photo). Warning: installing on tapestry or wallpaper will damage your walls ! 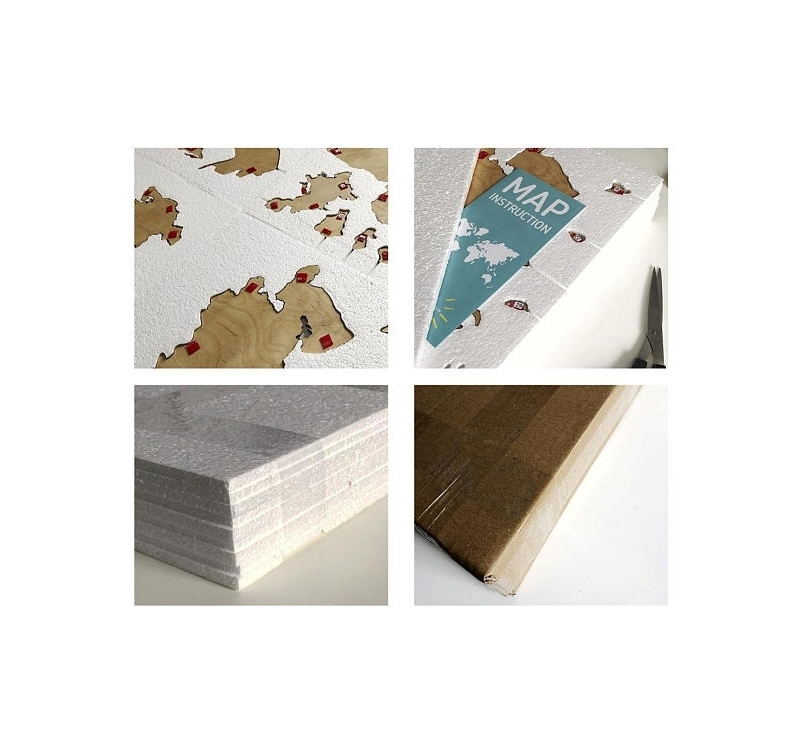 Delivery: Each wooden map of the world is delivered in reinforced cardboard with several layers of protection. A small instruction booklet is present to allow you to install your planisphere step by step. It takes about 1 hour with family to assemble the entire map. Do not forget to present us a picture once the work ends!